Comet is advanced backup software for MSPs, IT companies and backup providers. "Excelent software and a great team!!" 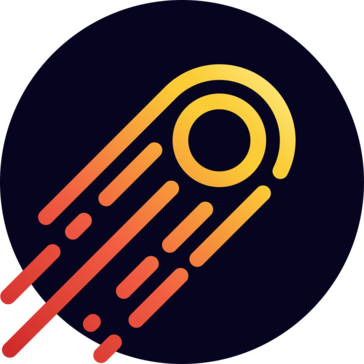 Comet is cheaper and faster, It's work very well in multiples environment, we use in Linux and Windows clients and it already helps us to restore many files. Our customers, all In Brazil and Portugal are very satisfied with results. The Comet team are amazing, always help us to solve the problems. There are few things that I dislike, for now, there isn't the option to use in mode trial, so in some cases, we need to make a test in a client to show the benefits of the Comet and need to pay a licence for this. Another thing, we have some resellers, and is not to easily customize the installers, is easier when you are a single reseller. "Comet Backup the best alternative to backup your information safely"
Without a doubt, Comet Backup is the most flexible backup management software that I have used since it adapts perfectly to my needs and allows me to choose in which space I want to store the important information of my servers. It has a very simple and easy to interpret interface, it is also worth noting that its support is very effective, which allows any doubt to be answered instantly. On the other hand I also like very much that it is possible to save the backup copies of my most important files in the cloud and then access them from any other place that has internet for a very accessible cost, so it can be used in small and large companies and even on a personal level. On a personal level I have not had any problems during its implementation in my work routine, so I have nothing negative to say about this very effective software. Comet Backup allows us to keep the information of the company very secure, since keeping backups of them in the cloud at the time of any failure in the servers will not be a concern because we know that the backup of all our information will be safe in this great software. "Comet is a great product managed by a great team of people"
Comet itself is a great product. It is easy to install and configure. The staff at Comet have been great as well. I myself like to know how everything ticks. The staff have been very accommodating and are willing to listen to ideas or suggestions from the people using their software. Even though Comet is a relatively new company, they are very knowledgable and are constantly pushing the limits of what their software can do. We look forward to every quarterly release. I have have been using Comet for about a year as the center of our business and I have not found anything that I dislike about their staff or their product. Comet has made it easy for me to backup my clients and our partner's clients data. Their software offers a no-nonsense approach and they make it very easy to install the software and get a backup going. No, complicated terms, wording or configuration.
" Replication and backup copies stored in our preferred place." Comet Backup is a great software which allows its users to choose in which space they want to store their data or more important information of their servers so in simple words it is super flexible since it offers the best options and plans for its users for adjust to each of your needs and what better to choose your own storage place either in physical state or in the cloud both are efficient because this software works 24/7 providing a great support of each data and the best thing is that It is compatible with different operating systems and its prices are for each device. Some configurations are somewhat complicated but going to your support team solves this small inconvenience is why I still consider it a great software. I recommend it because its prices are very fair and also allow you to choose your backup location which is something that many software with the same function does not allow. Comet Backup allows us to keep the data and information of our company iModules extremely safe thanks to the fact that we have chosen to keep the same backups in the cloud and we have assigned our own name and that is how we do not have to worry about the loss or damage of any of our servers since this software backs us up 24/7 through the creation of large backup copies being the same created automatically so its speed is truly acceptable, and that is why we will continue with it for a good weather. "Store your data according to your choice"
I love this data storage service provided by this software called Comet Backup because it has an interface that is really easy to interpret, it does not demand much of the equipment if we want to take it to our servers, it can also store any type of information, including the base of data, is available in several languages, so it does not matter where in the world we are, its costs are extremely flexible, so it can be used from small businesses to large companies. We have not had any problem with Comet Backup just some doubts regarding its configuration and functions and we have been briefly met so your support team is truly attentive. Our company recommends this software with closed eyes because if you are looking for a secure backup of your business information Comet Backup is the ideal because it is able to create backups quickly in the provider of your choice either in the cloud or on a server physical. Our company has used this great platform to support our data and most important information to keep our company safe as well as the data of our clients since we not only think about ourselves but also about them and why not if this software works very well what we have not found a better solution than hosting our data in the cloud because if our servers fail we will be uncovered because we only have to enter Comet Backup to obtain our backup copies. "An ideal software for the backup of data in a virtual or physical way"
I like Comet Backup because it is a very modern software, capable of storing data at a very acceptable speed, it contains a very clear interface so that any individual can be able to understand it and handle it without any problem, it is available for different systems, it is capable to recognize the data or information that has already been saved so it will not duplicate them, its support is incredibly effective so any questions will be solved instantly, that is why I consider it to be extremely useful software for the backup of any file that is of great importance for the business level. It would be great if there are other server options for storing the backup copies. Comet Backup is a unique software in this field because unlike other software it works literally, its support is very attentive and its plans are adjusted to the needs of each company, that's why and more than I recommend it. Comet Backup has been one of the best software that we have been able to implement in our company because its plans are very accessible and its function is very efficient and thanks to that we can maintain a large amount of business data backed up by backups stored in the cloud . "The Backup that will continue to be useful in the very distant future"
I like it because it works as a function of the cloud or in a physical environment it all depends on the user's choice, if it is a physical environment it does not require much to the team but the basic requirements and if it is an online environment nothing is required and the best thing is that both work very well supporting the information you want through backups created automatically at a very appropriate speed and everything is very cheap plans. I do not have anything to say against you that your prices are in line with your efficiency. I recommend this great Backup software because it works very well supporting the most important data and business information and the best thing is that it is super flexible since it allows you to choose what best suits your company. In our company we use the plan that allows us to store our data and information outside of our servers because we believe it is much safer to keep this information in the cloud than physically because if something happens to that environment we will be in trouble, also this is much easier to control and so far has been super useful. "Extremely versatile and easy to use backup"
Comet Backup I like without a doubt because it is a very modern and easy to use backup software, it offers great advantages like being able to keep your files and information safe through backups that are created automatically. minutes and the best thing is that it is available in the cloud so we can access our most important data from any place linked to the internet and all by very accessible plans so it does not matter how big or small your company is. Comet Backup has small delays sometimes when creating backup copies but I think it is not something to be alarmed. I recommend the use of Comet Backup because it is software that will free you from any problem that may arise in your company and lead to the loss of important information, since it is responsible for creating backup copies in a very short time without having to take hours configuring it to fulfill this function, it also offers you 30 free days for you to evaluate its use and if it adapts to what you are looking for. We have used and will continue using Comet Backup for the backup and security of our data and most important business information, since there is no better peace of mind than working knowing that all our efforts are safe in the cloud and that in case of any inconvenience we should only enter this platform and acquire our information again. "The best backup service for this generation"
What I like most about this great service is that it works 24/7 and is available for any system from Windows to Mac OS, it is very easy to configure, as well as its use is very simple, since we only have to drag and drop to upload any file from which we want to obtain backup copies something that is very high priority for any company because in case of failures in the system will have a backup of those files and important information. We have not found something that we do not like as such since it only presents small errors that are not due to its platform but to internet failures but that is normal for any service hosted in the cloud. The most modern and easy-to-use data backup service, ideal for backing up data from small, medium and large companies, is why I recommend it because its features are unique and very effective. Comet Backup is the best solution for the backup of our files and business information since it gives us confidence and tranquility and at the same time a great saving of money because its prices are really the best for everything it offers because it also fulfills a very support attentive.
" Great software ideal for backups with great stability." I like it specifically because it is a very versatile and easy to use software, it offers a very intuitive interface so it is not necessary for an expert to configure it, because it is clear enough for anyone to be able to handle it, it is ideal for the backup, scanning and upload of files in the cloud because it does so safely and very quickly and the best thing is that it offers 30 free days and very accessible plans. Our company has not had any problems during its use so I have nothing negative to say about this great software because it works in every way. Comet Backup is a software that you always need to implement in any company, because there is nothing better than maintaining your data with backup copies, which is why I recommend its use. Comet Backup has done a great job in our company KANA Software supporting, scanning and protecting our data very quickly and allowing us to have them stored in one place because it is always essential to have important data backups as any failure in our servers. It can cause great damage to our company but with Comet Backup we can always be safe because it works at face value. We have been very pleased with all the services provided by Comet. After extensive testing on multiple machines we can safely say that the software performs as expected and more. It was able to scan through many GBs of data and upload that data to our cloud servers in just a few minutes as an incremental backup with version history - in comparison to alternative backup solutions out there this is very impressive. We can also say the same for restores - we figure that the software is smart enough to not upload or download any duplicate data which is a big help on our end with respect to our bandwidth. The UI layout of the software is clear enough for anyone to manage. And there doesn’t seem to be many technical issues from what we’ve seen. The software is very dependable. We have had to contact support a few times either to clarify a few features or report a few minor bugs, but the responses we’ve received from Comet’s support team have been very professional. We’ve always had a response usually under an hour and every time they have been clear and in-depth. Any issues would be resolved quickly, and if there was ever a need to fix a bug the fix would be immediately included in the next update to the software, which would be within a week, so we are very pleased that the company is listening to its users and responding. The support website itself was very nice and easy to use too. The software itself has proven to work very well with different data types such as SQL databases and Exchange servers. What is also crucial to us as well is the inclusion of VSS-Aware components, as we have encountered other backup solutions that have run into difficulty with this, so we are very pleased that Comet have provided this capability. We have yet to find a file type that the software has had problems with. Overall we would happily recommend the software to anyone requiring a fast and stable backup of their valuable data. Not many people understand the importance of having a second backed up copy of their data and think a cloud sync solution suffices on its own, not understanding the dangers of data corruption due to ransomware or otherwise, or even the possibility of something going wrong on the cloud server’s end. Having an incremental second copy which also records each version of the file is a must for valuable data as it guards against these potential threats, and we believe Comet does this very professionally. Excellent work by an excellent company. We will happily continue to work with them for the foreseeable future as CeeJay Software will be powering our Backup Intelligence solution on Comet. Waiting Comet to be available on macOS and iOS. A fast and reliable way to backup servers and network drives. "Comet Backup storage on our own server or in the cloud"
I like it because it provides great support, since it works 24/7, it is very simple to use because it contains a very intuitive interface, it allows you to backup any type of files, from word documents, database and even emails. gives the option to choose between your own server or store them in the cloud is why it is super flexible in all aspects because even their prices are considered according to the number of devices and the best thing about this service is that this available for almost all operating systems. It just needs to be available for all operating systems. I recommend using this service either in the cloud or on your own server to keep the most important data of your company safe from any failure of your servers and all for a price that depends on what you use. Comet Backup has been the best solution we have taken to host the data of our company in a safe place that allows us to have them backed up 24/7 hours a day and of the week because there is no better investment than that of a service that believes us backups in just a few minutes and that provides us with extremely flexible prices since we only pay for what we use. "A good product on a positive journey towards greatness"
The product is pretty simple to deploy and offers a good deal of versatility. The client is lightweight and unobtrusive, but offers just the right level of detail to make it easy to use. We particularly like the range of storage options offered, de-duplication, and fast restores. There isn't much to dislike. A number of key features are in the pipeline such as support for Apple Mac, centralised control of remote storage nodes & clients, and the development team are receptive to suggestions. Bare metal recovery would be a great feature. Compared to other products in the market, we consider Comet to be one of the most promising contenders. For end users, we would recommend that you buy from a Service Provider who can offer a variety of storage options, and economies of scale. Greater peace of mind that critical data is being protected. "Young but very promising backup solution." The programs is lightweight, feature rich, and way better designed then Ahsay (our previous backup 'solution'). Comet is not very mature. All basis functions, files, SQL, Exchange are working great. In the (near) future features should be added to make it as complete as possible, like backup sharepoint farms, VMware, continues file backup. Just try it! I think you will not be disappointed. Clear price structure, not expensive. No lost data. Just works and in combination with MyClient excellent reporting. Backup and recover is super fast. The support is amazing, give real answers and provide effective solutions and workarounds very quickly. The solution is young but very stable and reliable. The only lack, for now, is the availability of few "agent", but since the beginning the compatibility is growing fast. We are able to switch from a legacy and not innovative Backup platform to a breand new, smart and scalable solution. * We monitor all Comet Backup reviews to prevent fraudulent reviews and keep review quality high. We do not post reviews by company employees or direct competitors. Validated reviews require the user to submit a screenshot of the product containing their user ID, in order to verify a user is an actual user of the product. Hi there! Are you looking to implement a solution like Comet Backup?